You’re just a few minutes away from a greener healthier garden. Testing your garden soil is the best way to evaluate the fertility status of your field, garden or high tunnel before planting. A soil test is useful in the diagnosis of plant culture problems, and it is also an important tool in improving the soil nutritional balance. Soil tests will save you money and energy in the long run. Phoslab Environmental Laboratories garden soil testing is designed to look for nutrient deficiencies. By knowing the nutrient content in your soil you can then you can amend your soil appropriately based on what you are growing from tomatoes to grass. Our laboratory provides soil testing to a vast array of clients all over the state of Florida. 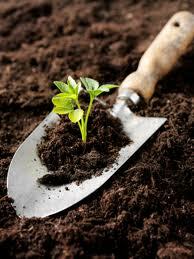 Central Florida soil testing is common for gardeners and highly recommended. Get your garden soil tested for its pH, nitrogen, potassium, phosphorus (below we explain why these factors are important). Our laboratory covers associated shipping costs and sample container costs. This kit is for the serious grower/gardener. Our state of the art instrumentation can detect limits that standard take home kits cannot. Phoslab Environmental Laboratories has been in business since 1965 and is a nationally accredited laboratory. We’ve performed analytical work for the agricultural industry for over 2 decades. Delivering quick and accurate results is a top priority. *If you are a commercial grower please contact the lab directly. Some of the largest commercial growers in the state of Florida have come to count on the accuracy of our services. The cost of our Garden Soil Testing is $96.00. With our Garden Soil Testing services you’ll receive accurate results from a nationally accredited laboratory using state of the art instrumentation. Ordering your sample kit and analysis on your garden soil is easy. In just a few minutes you can be on your way to a greener and healthier garden. This analysis can be used to grow the perfect lawn also. Place your order online or over the phone. For questions you can email us using the form on this page or call us at (863) 682-5897. Phoslab will customize your kit depending on how many samples you’d like to collect and have tested. We ship out the kit with a return shipping label, sampling instructions, a COC (chain of custody – click here to see more on COC), and simple instructions on how to fill out the COC. You collect the sample, fill out the COC, slap on the prepaid shipping label and ship back to us. Once we receive the sample, we’ll perform analyses and send you a certified report within 7-10 business days. Turn around times may vary depending on volume. Phoslab can perform sample analysis in under 24 hours given the right circumstances. *(Make sure to include an email address if you’d like an electronic copy of your report. Also, we can expedite the reports much faster but there are additional charges for rush turn around times). Should you have any questions before or during the process we are here to help, you can call the lab directly and speak with one of our lab directors. Click here for sampling instructions in PDF format OR View Online. Why Nitrogen, Phosphorus, Potassium and Ph? Nitrogen, Phosphorus, Potassium are essential elements for the perfect garden. If you’re planning on starting a garden or you currently have a garden but aren’t getting the best results, it’d probably be a good idea to have your soil tested. Knowing what you will be growing and the nutrients it needs are essential for producing the best yield from your garden. Testing your garden soil will help ensure the proper balance of essential elements in your garden! Here is a little information about each essential element we test for. Of all the essential nutrients, nitrogen is required by plants in the largest quantity and is most frequently the limiting factor in crop productivity. Proper management of nitrogen is important because it is often the most limiting nutrient in crop production and easily lost from the soil system. Nitrogen is an essential element of all amino acids. Amino acids are the building blocks of proteins. Nitrogen is also a component of nucleic acids, which form the DNA of all living things and holds the genetic code. Nitrogen is a component of chlorophyll, which is the site of carbohydrate formation (photosynthesis). Chlorophyll is also the substance that gives plants their green color. Photosynthesis occurs at high rates when there is sufficient nitrogen. A plant receiving sufficient nitrogen will typically exhibit vigorous plant growth. Leaves will also develop a dark green color. Click here for even more detailed information on why nitrogen is vital to plant growth. In the tropics, phosphorus is often the most limiting plant nutrient. This is primarily due to the challenges in the management of phosphorus. In plants, the concentration of phosphorus ranges from 0.1-0.5%. Like nitrogen and phosphorus, potassium is a mobile nutrient. Older leaves may develop chlorosis along the margin, or edge, of leaves. Certain crops may have weaken stalks, which causes lodging (toppling over). Soil pH is a measure of your soil’s acidity (sourness, a measure of below 7.0) or alkalinity (sweetness, a measure higher than 7.0), with 7.0 being neutral. Most garden plants prefer a pH in the neutral range. Some plants are more specific in their requirements. Lilacs and clematis thrive in sweet soils. Rhododendrons and blueberries like a lower pH. You can adjust the pH in different parts of your landscape. Generally speaking, if your plants are growing healthy and well, your pH is probably fine. If your plants are having nutrient problems or are not growing vigorously, it’s worth it to test your pH. If the soil’s pH is not within an acceptable range for the plants you are growing, the plants will not be able to access the nutrients in the soil, no matter how much you feed them. Gathering garden soil sample(s) for analysis is quite simple and only takes a few minutes. Phoslab Environmental Service will provide a sample collection kit free of charge. Once you receive the kit follow the instructions below. 1.) You can either take a grab sample or a composite sample. For a grab sample, just take a small shovel and scoop out some soil in the area or areas you’d like tested, then fill the sample jar almost to the top. Wipe the outside and secure lid tightly. For a composite sample (recommended), just create an imaginary square or rectangle shape in the area you’d like tested. Take small shovel and scoop soil from each corner, plus the center, and put in a bucket. Mix all 5 scoops together then take your sample from the bucket. Wipe the outside of the sample container and secure lid tightly. NOTE: IF YOU NEED TO COLLECT MORE THAN ONE SAMPLE, PLEASE MAKE SURE TO LABEL EACH SAMPLE CONTAINER WITH THE SAME NAME/NUMBER YOU HAVE LISTED ON THE COC (CHAIN OF CUSTODY) SO WE CAN DETERMINE WHICH SAMPLE IS WHICH. USE A PERMANENT MARKER AND WRITE SAMPLE NAME/NUMBER ON THE LID OF THE CONTAINER. 3.) Box up and ship out to PES. Our standard TAT (turnaround time) is 7-10 business days. You may receive your results before or after the standard time, depending on how busy PES is. Our laboratory works with several clients in Florida that require soil testing. Most of our laboratory soil testing is done for clients located in central Florida. The majority of Phoslabs clients that require soil testing are located in Polk County, Osceola County, Hillsborough County, Orange County, Lake County, Pasco County, Pinellas County, Manatee County, Sarasota County, Hardee County, Desoto County, and Highlands County. Using state-of-the-art garden soil testing equipment we can help ensure that the makeup of your soil will provide the perfect home for your plants. Our comprehensive testing services provide in depth reporting on the pH, nitrogen, phosphorus and potassium levels of the garden soil. Understand if your soil is adequate enough to sustain a specific plant, grass or an entire garden, ask for garden soil testing services from Phoslab. Click here to learn more about our services.